When a given case only contains articles with the same format, we call this a uniform case. 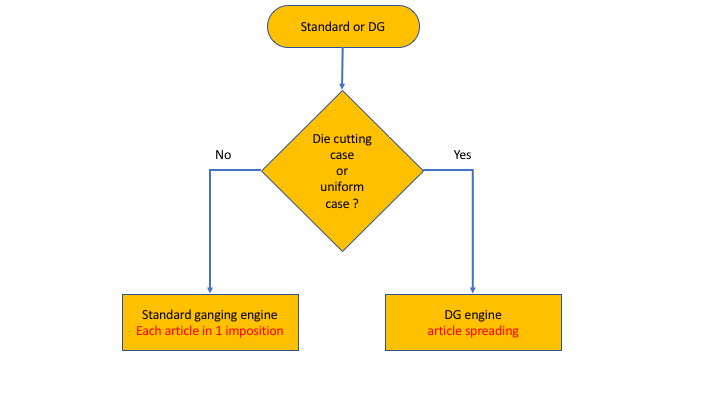 Uniform cases are solved with a special algorithm: the DG-algorithm (also called "die cutting algorithm"). 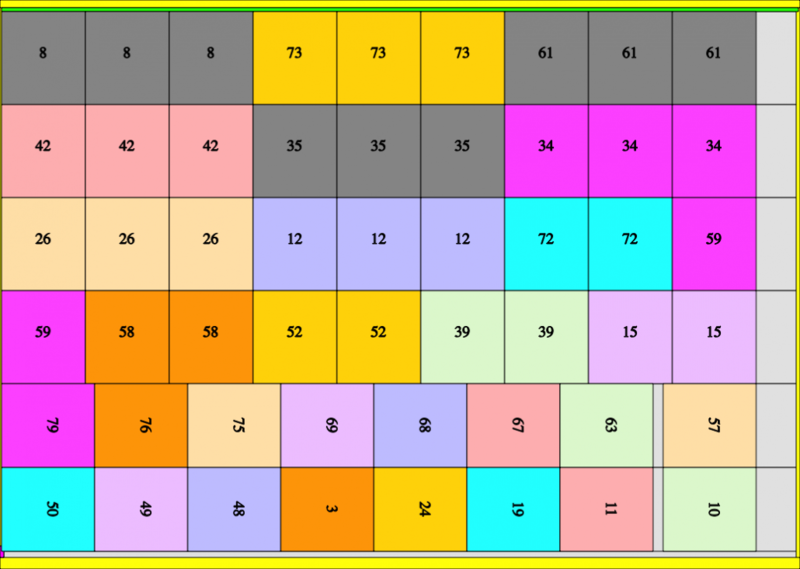 It differs from the standard ganging algorithm by spreading articles over multiple impositions. By doing so, we notice significant savings. While simple usage of the standard ganging algorithm may save 10-15% in production, the DG-algortihm allows for an additional saving of about 10% extra. 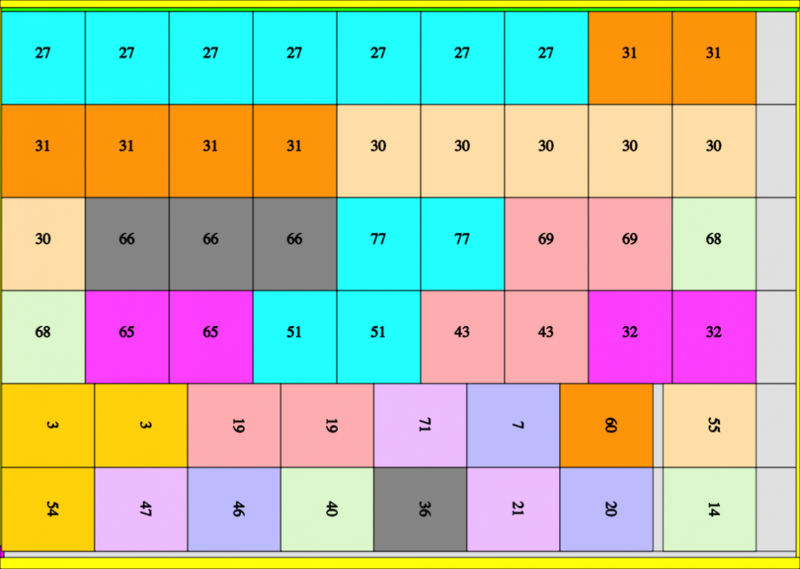 At this moment, the DG-algorithm is only suitable for uniform cases. We are thinking about it to generalise it to non-uniform cases. As an example we present the results of a case as well computed with the standard ganging engine as with the DG engine. The case contains 79 articles. 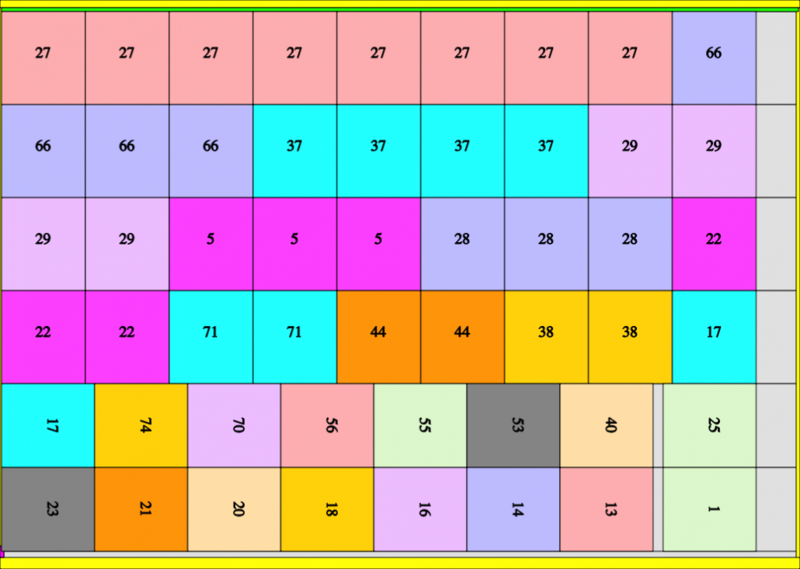 The standard ganging engine finds 4 impositions with a total run length of 25.300 sheet (spoil not included). The global overproduction is 18,95%. 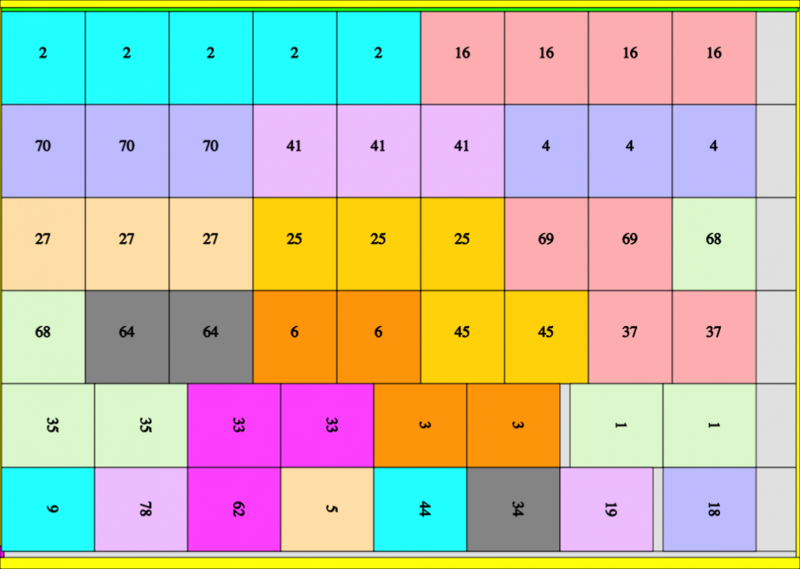 The DG engine also finds 4 impositions, but now with a total run length of only 21.849 sheet. The overproduction is now only 2,73%.